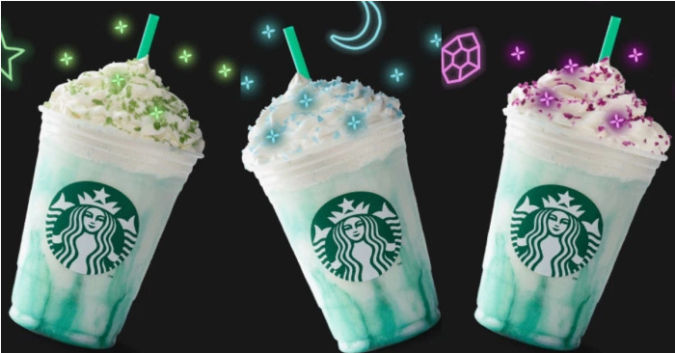 Starbucks released a new Crystal Ball Frappuccino which is available for a limited time and while supplies last. This mystical drink consists of swirling peach infusion topped with whipped cream and turquoise sparkles. Your drink is then sprinkled with one of three colored candy gems, with each hue telling your fortune. Blue: Adventure is your destiny. Green: Get ready for some good luck to come your way. Purple: Expect magic, wonder and enchantment in your future.